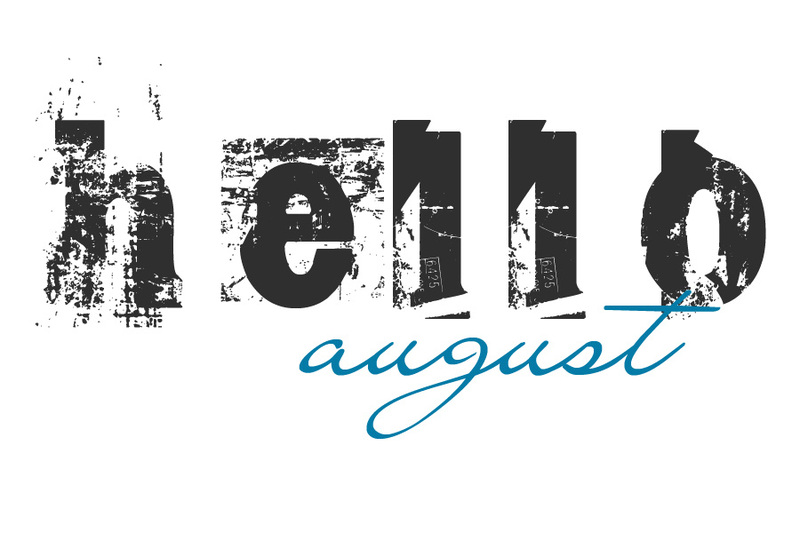 I can’t believe August is already here! I feel like I just watched the fireworks for the new year. Down here in the South, the days are long and humid. High noon is spent hiding inside from the worst of the heat and waiting for the cool of the evening. A mint julep, a book, a rocking chair and a porch make for a fabulous August evening. Here are a few picks for this month. Although this book did not end up being my cup of tea, I can recognize it as a well-written novel. The tone is dark but I didn’t care for the narrative style. The sentence structure follows a speech pattern that suggests a simple-mindedness of the narrator. Signor Bon seated me in front of him so that my view was unimpeded. He rowed, as he explained, ‘alla Veneziana’, standing behind me, stooping rhythmically over a pair of oars. On the back of my neck, I felt the warm air disturbed by his efforts. It was worth all Darcy’s anger, all Mr Rainfleury’s clucking and even worth keeping a secret from Alexander, the hour I was late for breakfast, the hour I spent as the sun rose above the city being rowed by the photographer around the back canals of Venice, dipping under trailing vines, being enveloped in the sudden shadows of bell towers, following the sugar-scented bakers’ boats. The ferry stops snapped their crisp striped awnings at us. I watched the women throwing ropes into the water to teach their young children to swim. I listened to the happy chatter of the bead-stringers of Castello sorting the treasures in the wide wooden trugs on their laps. By a mutual understanding, Signor Bon and I did not talk, but at times the pleasure was so great that it needed to be shared. Then I could not refrain from twisting around so that our eyes met. When I did so, he nodded with a solemn smile like a benign priest who has made a convert of an unlikely sinner. I would be remiss if I didn’t mention the stunning cover art, which only gets better every time I look at it. Thank you to Bloomsbury for the review copy. Read via NetGalley. This story brings together the fantastical and the realistic. How does tradition meet modernity? In Choo’s debut novel, she uses beautiful prose to illustrate the unsettling and engaging story. This historical thriller is an equal-parts cocktail of action, adventure, science-fiction and comedy. The book follows a globe-trotting President Taft and Robert Todd Lincoln in a race to solve a mystery stretching back to the Civil War and the Lincoln assassination. Based on true events, readers will find themselves swept into a vast conspiracy spanning four continents and three oceans during the turn of the century. Fascinating technologies will be harnessed, dark secrets revealed, true villains exposed, and some of the most famous figures in history will take the stage. From the outset, this book is pure fun. The author begins with an alternate version of events one night at Ford’s Theater in April 1865. It’s a steampunk imagining of the post Civil War era, with Taft in an airship and pocket watches that hold secrets. And, it’s humorous. It’s adventurous, funny and imaginative. Many thanks to St. Martin’s for the review copy. Read via NetGalley. Open Road Media keeps hitting it out of the park. They find fantastic gems, many in translation, and bring them to a easy-to-use and stylish platform. Enrique Alonso travels from his new home in Manhattan to San Sebastián, Spain, to attend the reopening of the San Telmo museum, where his ex-wife, Bety, works in public relations. There he meets American Craig Bruckner, a retired art restorer studying the museum’s collection of works by Sert—a contemporary of Picasso and Dalí who worked for the most famous billionaires of his time and whose mural American Progress graces the walls of Rockefeller Center. When Bruckner is found drowned in La Concha bay, Bety suspects foul play and Enrique agrees to help her look into the man’s death. Their investigation reveals a mystery connected with Sert’s checkered past, which provides fertile ground for the new thriller Enrique is writing, and the plot develops in parallel to his research. Enrique and Bety’s reconstruction of the artist’s clandestine activities during World War II leads them to Paris, Barcelona, and New York, and in the process forces them to face their own past. But they are not the only ones interested in Sert’s work, and it appears there is more to his paintings than meets the eye. The prose is clean. The plot pushes along at a good pace and doesn’t dwell on complicated relationship of the two main characters (which it could easily descend into). Instead, it focuses on the intrigue of the paintings. Thank you to the fabulous editors at Open Road Media for the review copy. Read via NetGalley.